The present owner showed me the paperwork at Curborough 2007 confirming the original chassis number, engine number, registration number (original) and vehicle specification. The paperwork also stated that Middlebridge Scimitar Ltd were the second owners of the vehicle. 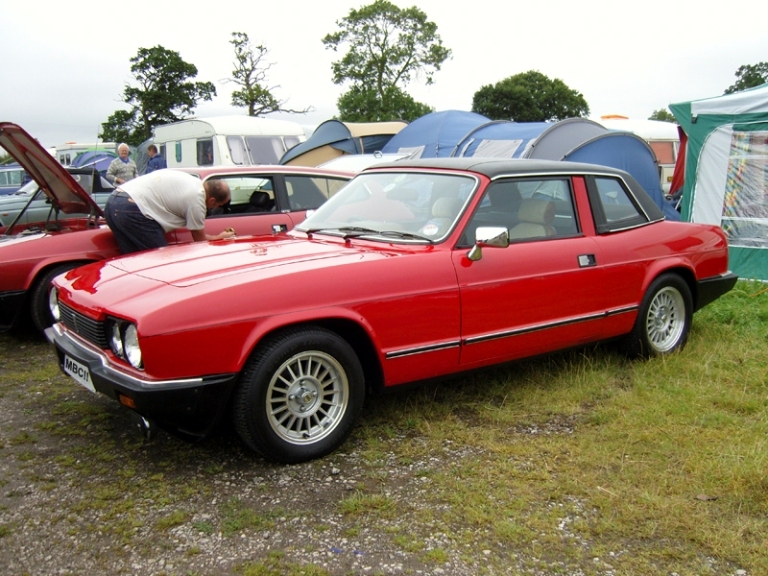 This car was originally registered on 01/08/80 'Reliant Scimitar GTC number 122' with a GOC registration and Mulberry Red Paintwork (Paint code 54). This car was rebuilt as required during 1989 by Middlebridge Scimitar Ltd after an engine bay fire and has since had a 2.9EFI + A4LD box installed and a set of Middlebridge alloys fitted.